Albert Camus was (according to the blurb of this 1960s Penguin edition) active in the French resistance during the Nazi occupation of the Second World War. The Plague (La Peste, he didn’t pretentiously title it in English) is an extended metaphor representing this unpleasant time of entrapment and martial law within the microcosm of a French-Algerian seaport put entirely under quarantine whilst being ravaged by a virulent strain of plague. The Black Death. Bubonic, Pneumonic. Both of ’em. It destroys the town, kills hundreds of people a day, corrupts some, emboldens, betters, enlightens others, affecting everyone, changing all. Like the Nazi occupation did France. People become desperate due to the separation from loved ones, due to the death around them, due to the normalised sores and blood and corpses. Cinemas don’t get any new films, food is limited, luxury is gone, fear is everywhere, there is a murdering, horrible plague of disgusting proportions that is willing to indiscriminately kill anyone from any walk of life, whoever he or she is. It renders everybody powerless, and the measures they have to fight against it are all, ultimately, useless. The Plague cannot be destroyed by science, only its own arbitrary abatement can be hoped for. The comparison, the analogy, is a little heavy-handed, though (of course) one could read it in a vacuum and be confused by the simple medical story’s last paragraph where Camus chooses to (needlessly) make his objective transparent. As a work of fiction it is enjoyable, well paced, a little dense in places, though that could more be the fault of the translation (and possibly my weekend hangover) – I don’t remember struggling with the other Camus I have read. It’s a bit Nobel-Prizey, I suppose. It’s intelligent and thoughtful and rounded and deeply, deeply politicised. Not as catchy or as whiney as The Stranger/The Outsider, but it is about a difficult and horrible time and renders its analogous situation with strong realism. The descriptions of dying rats at the opening of the text are quite disturbing, somehow more so than the mass human deaths of later on. Perhaps that is just because I can visualise a box of dead rats better than I can a truck of dead people. Is that a good or a bad thing? Death means nothing to men like me. It’s the event that proves them right. Phwoar. Really I’d wanted 250 pages of that. I’m going to read something light next. Nice write up. 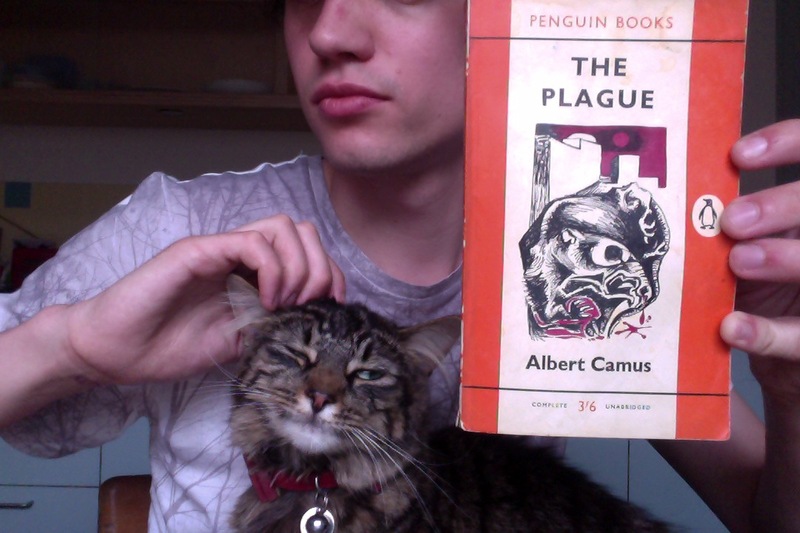 Because of your post, I’m going to actually read The Plague this week. You have an excellent taste in literature, and your posts are enjoyable to read. Keep up the great work! If you have some extra time, you should check out Camus’ Resistance, Rebellion, and Death. It’s a bit heavy, but I think you would glean a lot of insight from the text. Take care.